My first attempt at Artist Trading Cards ( ATC ) ….. 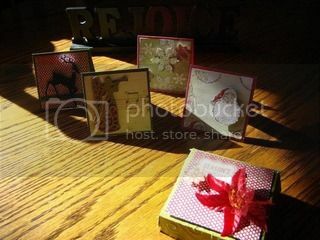 I purchased some precut ATC cards from Hobby Lobby to make this first go around easier. I really liked how these cards felt…..they were similar to grungeboard. 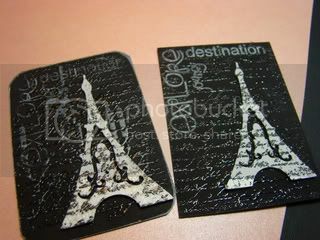 I stamped the words with white ink then stamped the background and embossed with clear Zing. 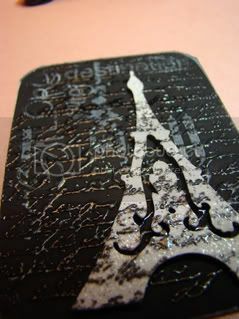 The Eiffel towers were cut from the Cricut French Manor cartridge and also stamped with the same background as the card, but embossed with hematite colored embossing powder. Twinchies are similar to ATC cards, but measure 2 x 2 inches. Not too bad for a first try. Another category that I chose in this swap was the Twinchies group. Never even heard of twinchies, inchies, or thrinchies before the CMB. I used my Cricut Gypsy and the George and Basic Shapes cartridge to place a square inside a square to build the frame and to cut the base. 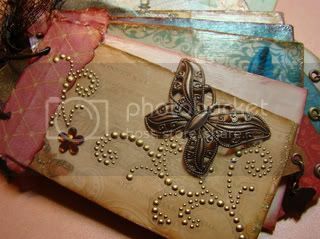 The base was inked around all edges and then stamped with a Tim Holtz stamp and a brown ink. Ranger Distessing inks were used for distressing the edges. 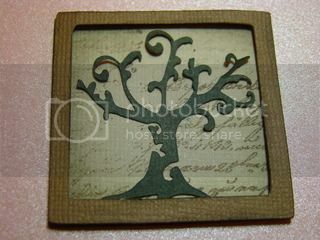 The tree was cut from the Wall Decor and More catridge. The tree trunk was adhered with Zig 2Way glue, leaving the branches free from the paper. My hope was for it to have some dimension on its own, by not laying completely flat against the base card. The frame was also inked slightly then adhered using very tiny pop-dots. 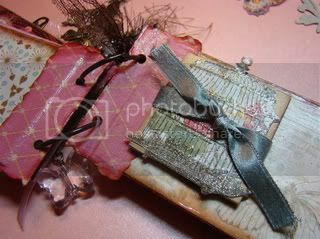 To me, it looks like a miniature wall hanging as for a doll house. Still trying new things here. 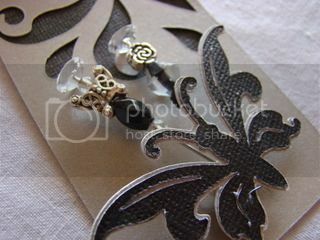 Have seen several other scrafters creating adorable altered paper clips, so I thought I would try my hand at it. To help me stay on task and complete a project, I joined another swap on the Cricut Message Board. 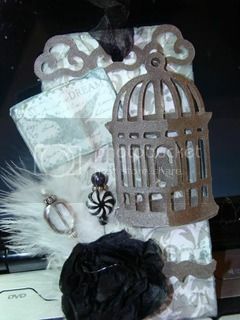 (CMB) On this particular swap, I could choose from several different themes. The first example here was for the Come and Get It Group. This adorable hand mixer was cut using the Cricut From My Kitchen Cartridge and the circle was cut from the George and Basic Shapes Cartridge. 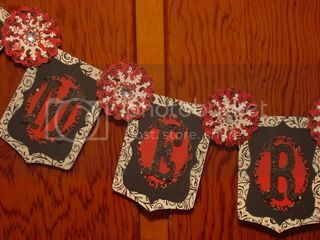 My next choice was also cut from the Cricut From My Kitchen cartridge, George and Basic Shapes and the Celebrate with Flourish. It was difficult to get his little parts on glued together, but I think he is adorable and was perfect for the Anything Goes category. The last category that I chose was In the Wild. Originally, I wanted to create a little zebra with some new zebra paper that I purchased, but the cuts were too small for the cartridge designs I had. We love owls here, so this little guy was my second choice. He was cut using the Gyspsy Wanderings and the George and Basic Shapes cartridges. Recycling should be a part of everyday life, but I have to tell you that my friends thought I was nuts when I asked them to save their empty toilet paper rolls for me. 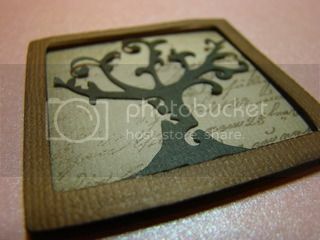 Then they KNEW I was crazy when I said I wanted them to make a TP Mini Album for a swap on the Cricut Message Board. Their visions of my craziness came on multiple levels for they could not conceive why I would be part of anything to do with CRICKETS (though most know that My Hero’s degree is in wildlife biology) and then there was the other of consideration of making something from TP rolls. 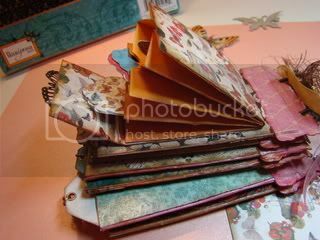 In the swap, we were paired up with another cricut board member to make these tp mini albums for each other. My poor swap sister is going “blind” on mine because I threw too many likes at her and then told her I would like anything. Then it’s “double-poor” swap sister in that she has ME for her ss. She said she loved pink and green….oh…yeah! I LOVE pink and green! That was going to be easy right? 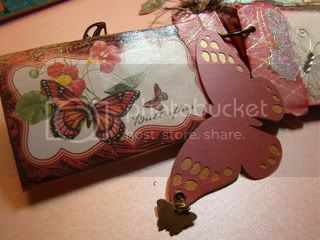 And she loves butterflies…yeppers…this is going to be a piece of cake. YEP…it would all be easy-peasy if it were not ME that was putting it together..hardy har. I loved shopping…butterfly this and pink that…ohhhh and some lovely bling….she ADORES bling! All the while I was shopping I was telling myself that this was going to be the loveliest tp mini album EVER. haha! Have you ever had a panic attack…you know….when you realize that everything you were doing or planning was monumentally wrong? (pathetic laugh inserted here) What? How could this be? 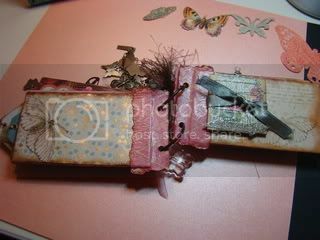 Nothing matches…not the pretty pink butterflies, not the lovely pale pink papers…lovely delicate lace…even the hue of the ivory laces did not blend with the papers or embellies chosen. Well, I pulled myself up off of the floor and did what I love best and that is head off to Joann’s, Michael’s, Hobby Lobby and a new found love…Frozen in Time…A Scrabooking Boutique. What I discovered on this trip was that not all pink are created equally…this one was too peachy…that one too orange…too bright…too ugly…and the list goes on. So what does any seasoned (or less salty) scraftin’ trooper do? She starts over with another plan for success. I headed home to explore my new choices…and this is the result. back inside the rolls for a more finished edge. 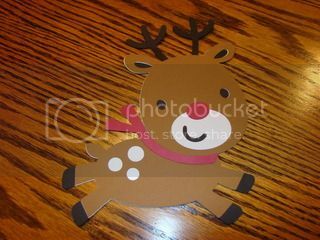 I cut out with my Cricut. 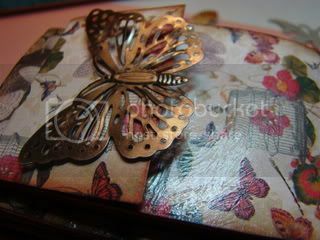 Using my Gypsy, I welded the butterflies together and then folded them. My most favorite in the “new things tried” category is the accordian file added to the back of the album, which is made from cut down coin envelopes. Even though is it very far removed from my original vision, I hope that my SS likes the album that I created for her. This is my very first time to work in such depth on something and send it off as a gift. I am a nervous Nellie! Nothing like having a deadline to get you moving to finish a project, right? I have been running so far behind on so many things lately. I promised myself to not sign up for any more swaps that required me to make something until I can get what is already topside completed. Every now and again, I am a night owl…working more efficiently in the quiet of the wee hours of the morning. As I write it is now 6:16 A.M. and I am still going strong. 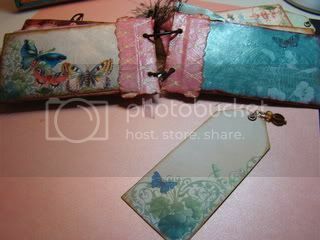 I am very proud to say that I finally completed the tags for the March 2011, Cricut Message Board Altered Stick Pin Swap that is due in a very short bit…AND I even edited a short video for YouTube. Now if I could get my internet provider to be so dedicated to keeping my internet running smoothly, I could maybe get it loaded sometime before my hair turns completely gray. 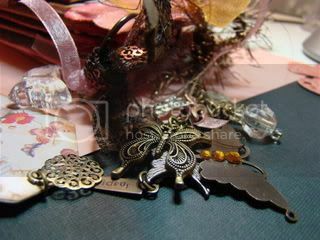 Her pins and tags are beautiful! Always feeling as though my projects were not good enough to share, I rarely allowed anyone else to see them. 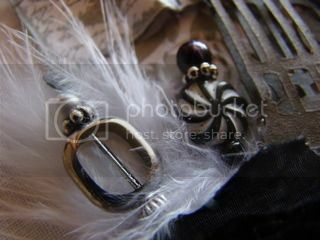 Posting photos on this blog is a huge step for me. 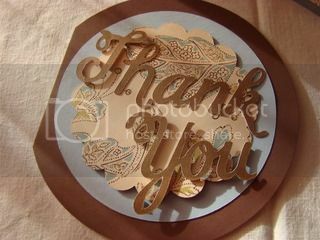 Recently, I began participating swaps on the Cricut Message Boards and this is my first finished project that I shipped to a hostess. I signed up for two spots on the February Stick Pin Swap (what was I thinking?) I am looking forward to seeing everyone else’s creations. Making the tags for displaying the pins proved a bit of a challenge to me. 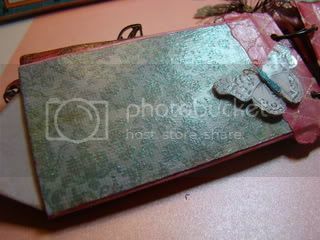 After adding paper to the front and back of a manilla hang tag, I ran them through my Cuttlebug in an embossing folder. The thickness of the tag took the texture well. The poly-satin flower was my very first attempt at making “melted” fabric flowers, however I used my embossing heat tool rather than a candle. 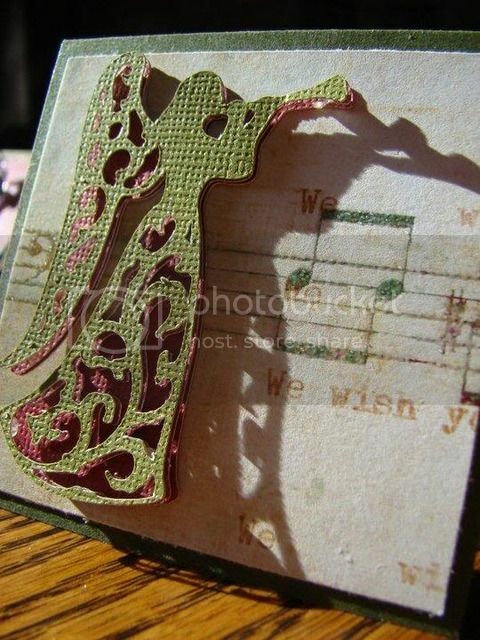 Glimmer mist was added to the stamped image and the bird card was “tweeked” to appear more dimensional. These stick pins could easily become a new addiction. The French Manor Cartridge was used for the first set of stick pens. Ashlyn’s Alphabet and the Cricut Lite Splish Splash cartridge were used to create the second tags. 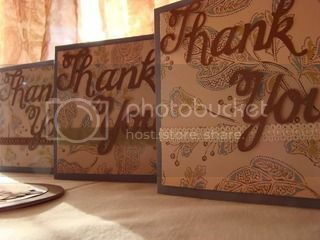 Found these wonderful blank cards at Michael’s and added a few embellisments for nice thank you’s for after Christmas. Unfortunately, the size ended up increasing the postage for each sent. The “Thank You” is from the Thanksgiving Cartridge. After finally biting the bullet and purchasing my Martha Stewart Score Tool and Board, I wanted to try my hand at making some 3 x 3 cards with a storage box to give as gifts. 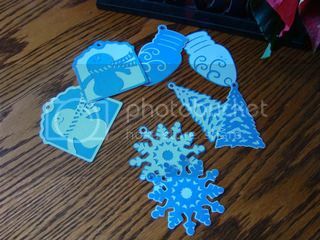 Just a few examples of the gift tags I made this last season…..
From Cricut Cartridge Very Merry Tags….so simple! It seemed that everywhere you looked, there were banners….large, small, vintage, jazzy….you name it. Well, I certainly did not want to be left out of the fun so I promptly purchased Cricut Cartridge B is for Boy to make my first banner. 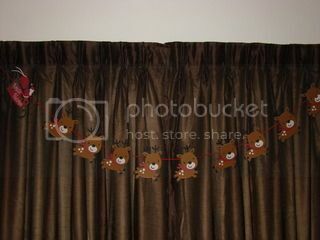 The cartridges used were Joys of the Season, B is for Boy, Storybook, Trim the Tree, and When It’s Cold Outside. Thank goodness for my Gypsy and the layering abilities…otherwise I think I would still be trying to put it all together. 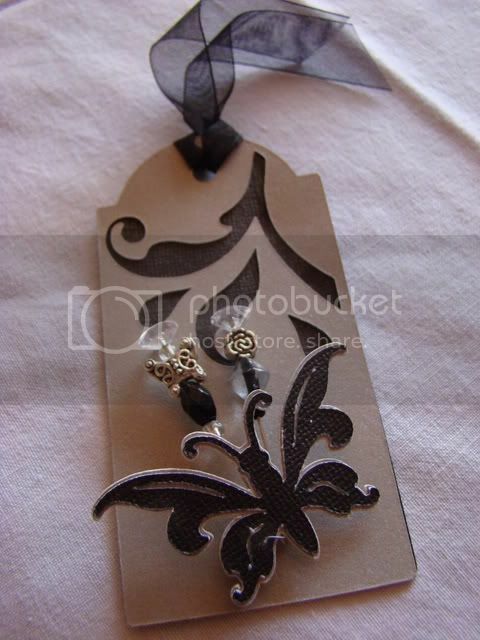 Okay, no apologies….I am behind in posting some of my crafts. Tonight I will try to catch up a bit with at least uploading some photos. 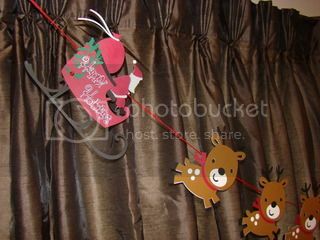 This Santa, sleigh and tiny reindeer Christmas Banner was intended as a gift for my sister-in-law, but she ended up displaying it at the hospital where she works. I wish that I could tell you that I came up with the design…but I didn’t, so I can’t and I won’t. Unforatunately, so much time has lapsed that I do not remember the blog where I originally found this. If you know the blog, please leave me a comment so that I can respectfully give credit for the original thought. If I remember correctly, the cartridges used were Create a Critter for the reindeer and Joys of the Season for Santa and his sleigh. This was my first time to utilize the new layers application on my Gypsy. 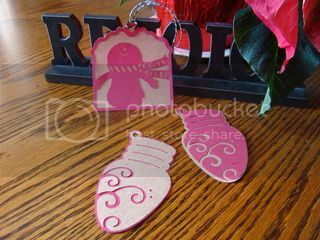 This was so much fun…and I hope to make more as gifts for next year.